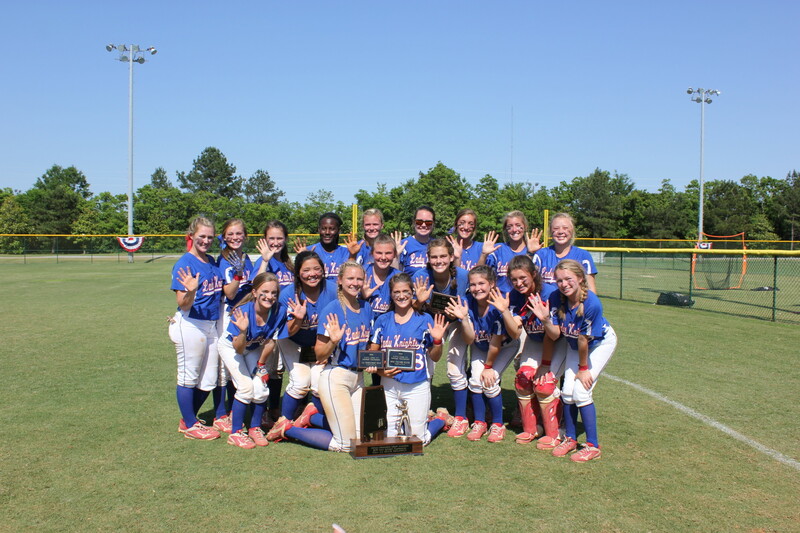 With a season record of 53-10, the Lady Knights softball team did it again this year sweeping the competition at the AISA AA state tournament to win their 5th consecutive title. Entering the tournament as the second seeded team after a disappointing loss at Region to Edgewood Academy, the Knights faced an uphill battle for the championship. In the state tournament at Lagoon Park May 6-7, MEA defeated Clarke Prep (17-0) and Pickens Academy (3-2) in the first day of play. On Saturday morning, the Knights got the win over Edgewood (8-5) to reach the finals setting up a rematch with a strong Pickens team. It was a 1-0 win over Pickens that clenched the 5th straight state championship for head coach Glynn Lott and his team. Seniors Paxton Searle and Jesi Garrett began their softball careers together as 5 year olds at Montgomery American, and have led the Macon team this season. Searle pitched in all 4 games at the state tournament including 2 shutouts. With 4 team home runs for the tournament and 58 for the season, it was 8th grader Kayla Boroff’s 3-run homer for the win over Pickens Friday that kept them in the winners bracket. With that at-bat Boroff clenched a spot on the all-tournament team along with Jesi Garrett and Madisyn Kennedy. Earning all four wins for the Knights, Paxton Searle was named tournament MVP. 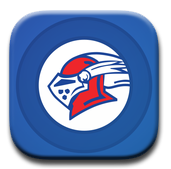 The Lady Knights are now the reigning 5 time state champions in both softball and volleyball, and both teams are looking for #6 next season.